The UN has claimed that a number of allegedly Iranian-made weapons have been found recently in the territory of Yemen. Speaking to Sputnik, former Iranian diplomat Dr Seyed Hadi Afghahi explained how the supposed missile fragments had found their way to Yemen. 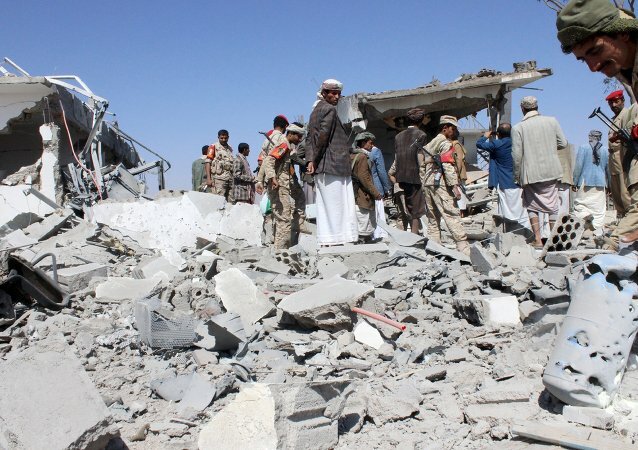 MOSCOW (Sputnik) - Houthis are ready to take part in talks on Yemen in Sweden, but demand that the UN resolve the issue of providing the aircraft, issuing the permit for its departure and the delegation's security, a representative of the Ansar Allah Houthi organization told Sputnik. 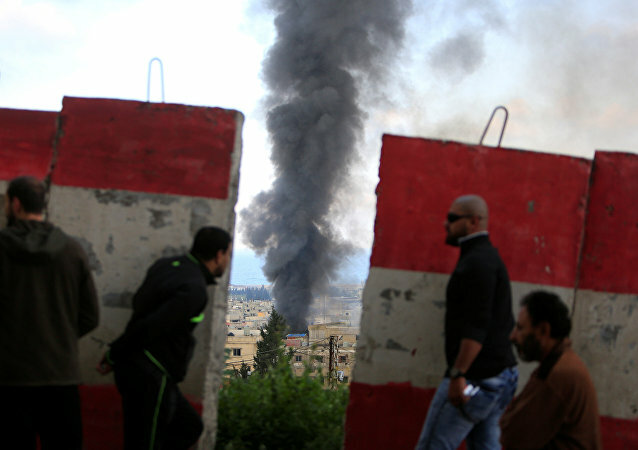 MOSCOW (Sputnik) - Fighting between the Fatah movement and the Ansar Allah group renewed in the Mieh w Mieh Palestinian refugee camp in southern Lebanon hours after the ceasefire was reached by the conflicting sides, local media reported. 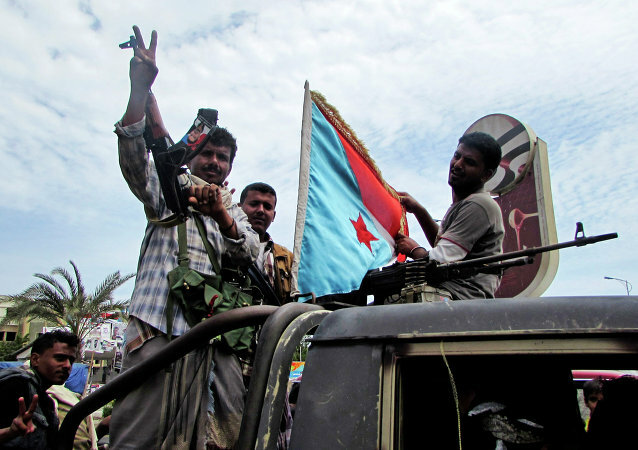 MOSCOW (Sputnik) – Yemen’s government forces of President Abd Rabbuh Mansur Hadi supported by the Saudi-led coalition established control over the Ad Durayhimi area to the south from the northwestern Yemeni port city of al Hodeidah on Thursday, local media reported. According to the Al-Masirah broadcaster, Yemeni Houthi Shia rebels have fired at least 1 projectile at the positions of the government troops in the western part of the country. The Supreme Political Council of Ansar Allah, the movement of the Houthi rebels, has called for the reconciliation of all Yemenis, including those who are fighting today on the side of the coalition led by Saudi Arabia, according to the Houthi statement. CAIRO (Sputnik) - The Yemeni rebels from the Shiite Houthi movement, also known as Ansar Allah, have hampered holding the congress of the General People's Congress (GPC) party of former Yemeni President Ali Abdullah Saleh, who was killed by the Houthis in December 2017, a source in the GCP told Sputnik. 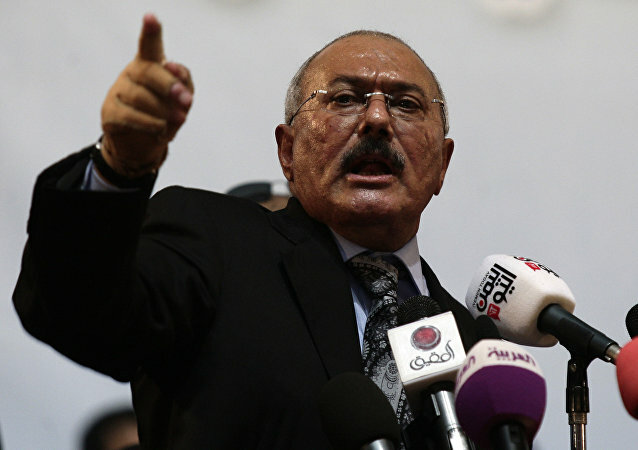 Following a bid to turn "a new page" in relations with the Saudi-led coalition, Yemen's former president Saleh was killed yesterday by the Houthis - his allies during the 2015-2016 struggle against the coalition. Speaking to Sputnik, politicians and observers from Yemen and Saudi Arabia shared their views on what will happen next in the country. Yemen’s supreme political council held its first session on Saturday, local media reported. The military situation in Yemen has not changed, and the formation of a supreme political council by Houthis together with the General People's Congress (GPC) will have no effect on it, Saudi military spokesman Brig. Gen. Ahmed Asiri told Sputnik Monday. The recent announcement of the United Arab Emirates to withdraw from the anti-Houthi military operations in Yemen came as a big surprise to the Ansar Allah movement, also known as the Houthis, one of the conflicting sides in the conflict, a member of Ansar Allah’s delegation to peace talks in Kuwait told Sputnik Arabic. The United Nations has failed to stop the conflict in Yemen for the peace talks’ period as the truce fell apart before it started, a member of the political bureau of the Shiite Houthi movement, also known as Ansar Allah, told Sputnik. Negotiations between Yemen's Houthi rebels and the delegations of foreign countries in Oman do not involve adoption of any agreements, member of the Ansar Allah movement's political council Deyfulla Shami said Friday. Former Yemeni President Ali Abdullah Saleh for the first time confirmed Sunday his alliance with the Houthi militants. A senior Houthi official said that the UN-mandated embargo on arms supplies to the movement will not impact the conflict in Yemen. 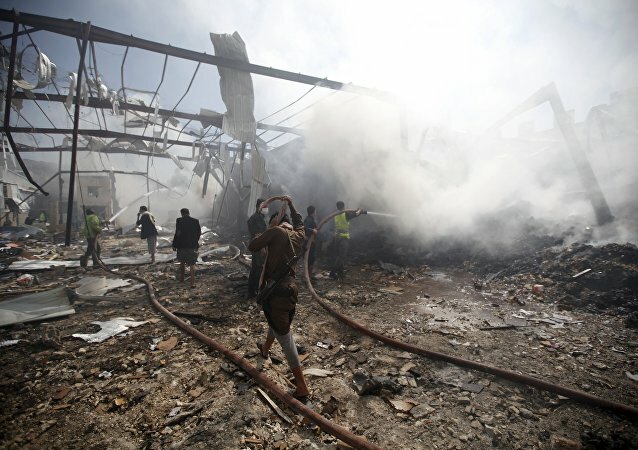 Russia submitted a draft resolution to the UN Security Council last week, calling for a "humanitarian pause" in the Yemeni conflict. As Saudi Arabia and its allies have begun the bombing campaign against Yemen, in the south, a separatist movement calling for a "State of South Arabia" is emerging. Fostered by the US, it will leave the Houthis with two hostile states at their borders and locked access to the sea, if it succeeds. On March 26, Saudi Arabia and Persian Gulf countries embarked on a military operation in Yemen. 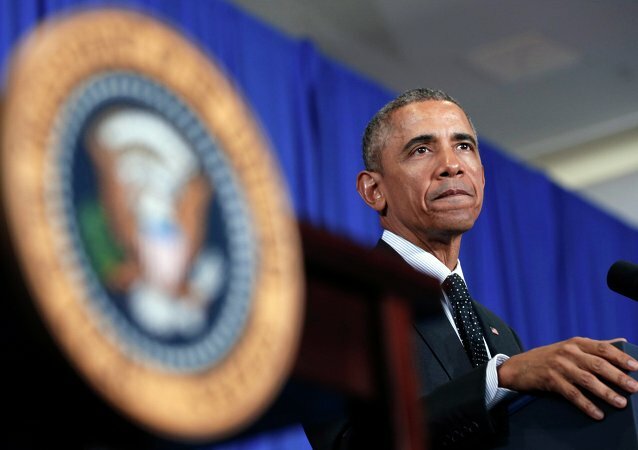 The operation started following a request from Yemen's President Hadi for military aid. Hundreds are killed and wounded after suicide bombers attacked two mosques in Yemen's capital.